City Mini Golf is taking over schools near you! Bob was out showing our new listing today at 1307 W Wrightwood #106 and sent me this photo. He knows my kids LOVE mini-golf. 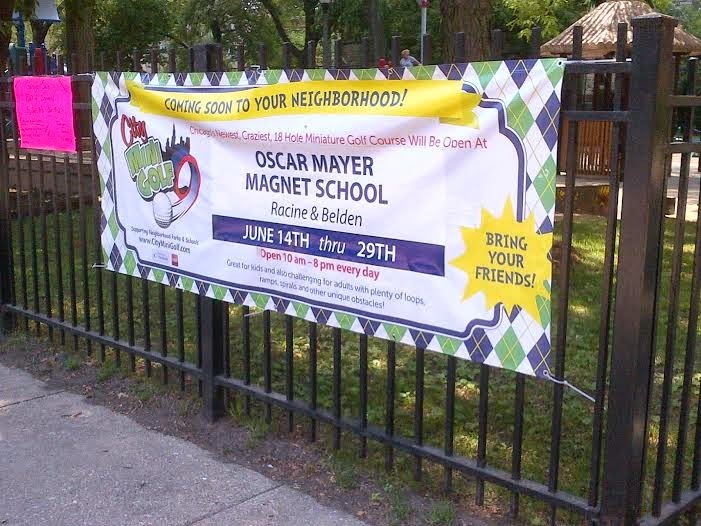 Here's your last chance weekend to play in Lincoln Park at Oscar Mayer school 2250 N Clifton thru June 29th. Click City Mini Golf Facebook page for more schools and dates!